A Spice trip from Bali to Berlin. Christmas, the most wonderful time of the year, wouldn't be the same without the smell of cinnamon, cloves and cardamom in the air. My family's all time favorite recipe to indulge in during those cozy days is the sweet and soft monkey bread. Ready in no time and a real crowd-pleaser. It is effortlessly impressive and packs the ultimat christmas-flavor-punch because of the gingerbread spice mix! Lebkuchengewürzmischung. 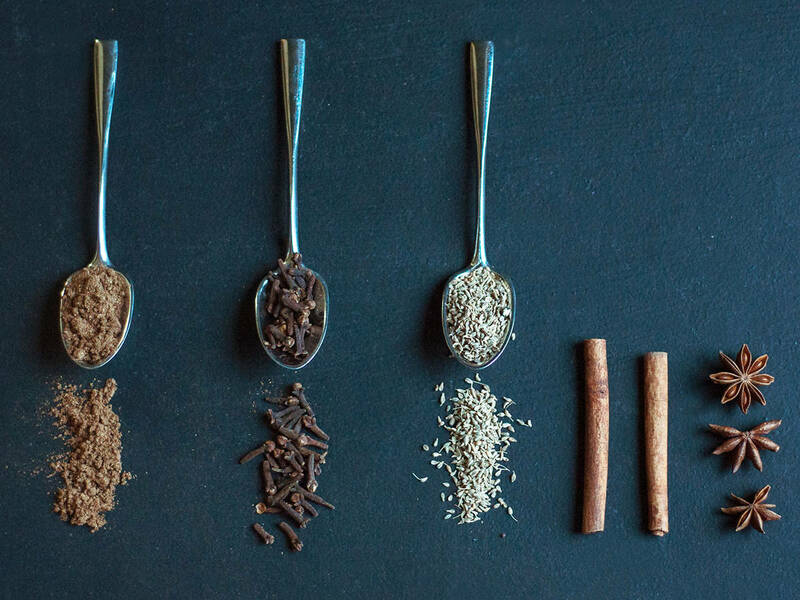 Extraordinary spices let you create unique flavors while cooking. That's why I wasn't going to miss out on visiting the local spice plantations when I visisted Bali last month. My balinese friend explained to me how many spices don't only add flavor but also have healing properties: Cinnamon can stabilize bloodsugar levels, cloves can ease pain and turmeric has antiseptic properties. The delicate licorice aroma of these dried seeds is unmistacable. We all know it from anise cookies, gingerbread and mulled wine. Eventhough botanically not related, staranise is not only decorative but contains licorice notes as well. Cloves are dried buds of clovetrees and also work beautifully in gingerbread or warm christmasy drinks. The also pair beautifuly with savory venison dishes. Cinnamon is harvested from the bark of the tree and is either ground or sold in stick form. It is a wonderful addition to punch and porrige while being infalliable in cinnamon star cookies. Vanillapods are the orcids fruit capsule and sweeten cakes, cookies and many other desserts. However they only reach their full potential in creamy sauces. They are also said to have mood boosting abilities. These sweet and spicy seeds should only be taken out of their capsule when you are ready to use them. They spice up cookies, speculoos and hot drinks like Chai hot chocolate and are beneficial to your digestion after a big chistmas feast. Some more tipps: Spices should always be added towards the end of the cooking process since the essential oils carrying the flavor are fleeting. They should also be stored in air-tight containers away from sunlight. In the balinese cuisine premixed spice blends are popular and commonly used due to their convenience. And around Christmas, especially gingerbread and baked apple spice blends are infallible which is why I decided to bring back all of the spices needed for these blends from Bali.